Sport gives you confidence in being in your own skin Danielle “Nolli” Waterman, England rugby union player and World Champion, told WeAreTheCity. She said: “The determination and competitiveness that sport brings has really helped me. Sport gives you the confidence in being you and the confidence in being in your own skin. You need tall, short, fast, players to make a good rugby team and it helps you realise that differences are important and that it’s ok to be yourself. 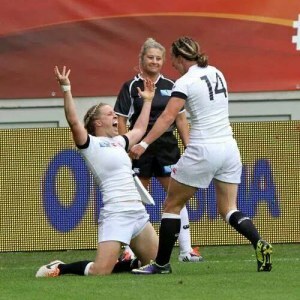 Last year Waterman represented England at the 2014 Women’s Rugby World Cup in Paris, managing to beat Canada in the final and claim back the title for the country which had evaded it for over 20 years. Furthermore, she has played in three World Cups and three finals. England’s squad at the Women’s Rugby World Cup was made up entirely of part-time players which trained in their spare time for no pay. As a result of their success England’s top female rugby players are being paid for the first time after the Women’s Sevens squad went professional. Standing up there on the stage, I was there with my friends. We didn’t realise the enormity of it until we got home. 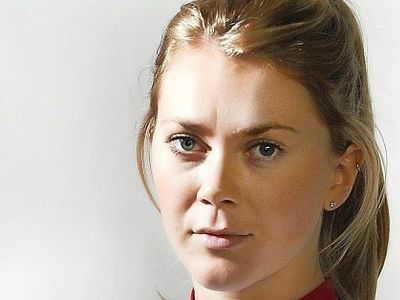 The Rugby Football Union (RFU) gave full-time contracts to 19 players last year, with Waterman securing one of them. In May the team competed in the IRB Women’s Sevens World Series where England qualified for the Rio Olympics on behalf of Great Britain. 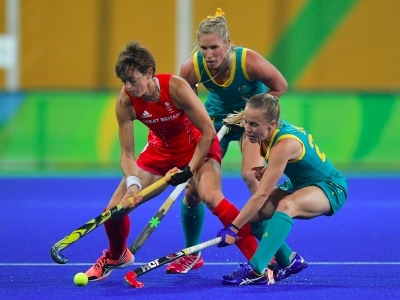 Rugby sevens are being included at the Olympics for the first time in 2016 where Waterman will compete. All 19 contracted players have been training full-time at Twickenham and at Surrey Sports Park in Guildford, since September. Waterman said: “Rugby has provided me with some fantastic friendships where we have experienced the high of winning the Women’s World Cup and the lows of injuries together. 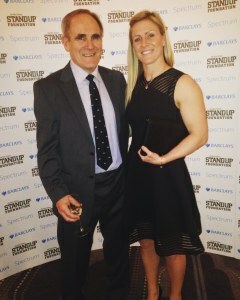 Rugby is in Waterman’s blood as her father Jim Waterman played for Bath RC and encouraged her to take up the sport from the age of four. Both of her brothers also play rugby. Waterman said she was active from a young age: “I was really active at home. From the age I learnt to walk I was being thrown around by my brothers. In school I never knew what I wanted to do, but I was driven and wanted to do something that I loved. She had played rugby with a boys’ team until the age of 12, until the RFU brought in new rules meaning she had to find a girls’ team. Waterman played for the under 16s South West regional squad and at the age of 15 was selected for the England Senior Academy and then the England ‘A’ squad. 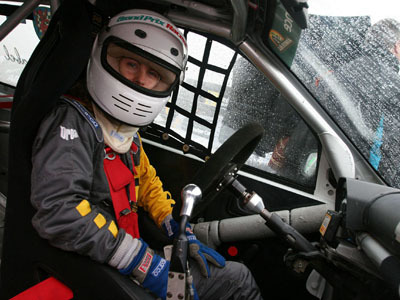 In 2003 she made her Test debut and became the youngest female to represent her country at the age of 18. 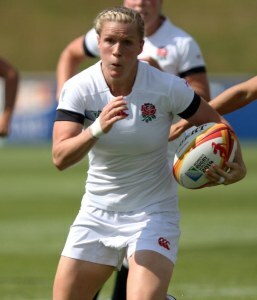 Throughout her career she has played at scrum-half and on the wing and is now a fullback for Bristol Ladies. 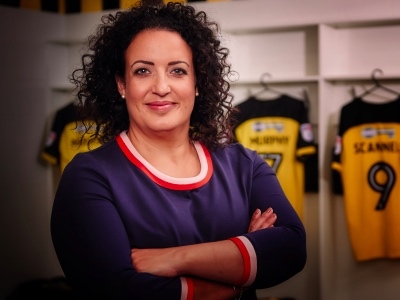 Since winning the Women’s Rugby World Cup Waterman has worked with businesses giving inspirational talks about how the struggles of sport mirror those in business.